30/05/2017 - Sgt. 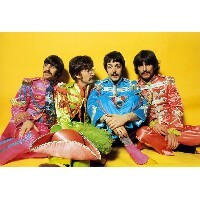 Peppers Lonely Hearts Club Band comemora 50 anos! Sgt. Peppers Lonely Hearts Club Band faz cinquenta anos e boxes de Aniversário traz faixas ineditas dos Beatles!